So we got together, put on our sorting hats (i.e., took this oh-so-precise quiz) and divided the Literally, Darling writers into our respective houses. Admittedly we took far, far too much joy in this. Instantly we started looking side-eyed at one another (mainly at the cheering Hufflepuffs), and wondered if we could get House points for who wrote the most articles. What can I say? You can take the twenty-something out of their childhood, but you can’t take the child out of the twenty-something. Below, thanks to Pottermore Wiki, we’ve broken down the key traits of each of the four houses and officially sorted our darling writers. Surprised? We were—particularly that our Editor-in-Chief is a Slytherin (perhaps that explains the green font?) 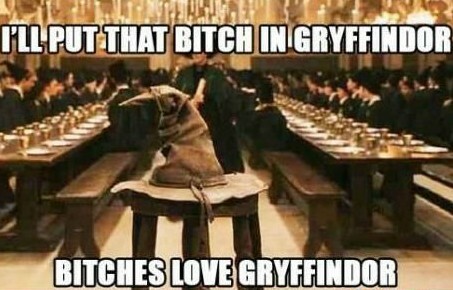 or that so few of us were Gryffindors. 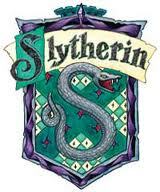 Slytherins are associated with cunning, ambition and a tendency to look after their own. Their Pottermore welcome letter describes Slytherin as the “coolest and edgiest house in the school.” Slytherin has produced its share of Dark witches and wizards, but unlike the other houses, members are not afraid to admit it as one of the Slytherin traits is ambition and greatness. Its students are often feared by the other houses, but most Slytherins are actually very kind (unless you happen to get on their bad side for some reason). 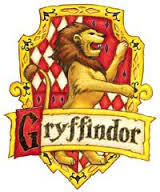 Gryffindors are known for their nerve, chivalry and daring, although many view Gryffindor as an arrogant house. Their Pottermore welcome letter describes Gryffindor as “quite simply, the best house at Hogwarts.” Gryffindor has produced dark wizards, yet they often do not talk about them and thus, they have mostly been forgotten. 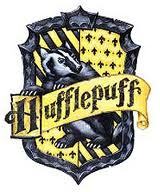 Hufflepuffs are associated with trustworthiness, loyalty and a strong work ethic. Their Pottermore welcome letter describes Hufflepuff as “the friendliest, most decent and most tenacious house of them all.” Hufflepuff has produced the fewest Dark witches and wizards of any house and its members are viewed as some of the kindest people in school. Many people view Hufflepuff as the least clever or exceptional house. According to the welcome letter, this is not necessarily true. Ravenclaws possess the traits of cleverness, wisdom, wit and creativity. Many well-known inventors and innovators have come from Ravenclaw. 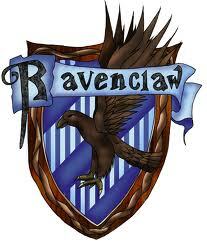 However, Ravenclaws have been accused of undermining each other in order to earn the highest grade. Students in Ravenclaw can also be quirky and possess unusual intellectual interests. Ravenclaws generally accept and celebrate these eccentrics. Ravenclaw is the ideal house in which to reside.